Boiler Tune Up and Maintenance in Guelph, ON is an imperative and key part of owning such a heating system. This system costs you a considerable amount to install initially and as the investment into your home and lifestyle that it is, you need to take the appropriate care of it. This kind of equipment will only serve you and your family as well as you serve it and that must never be forgotten. 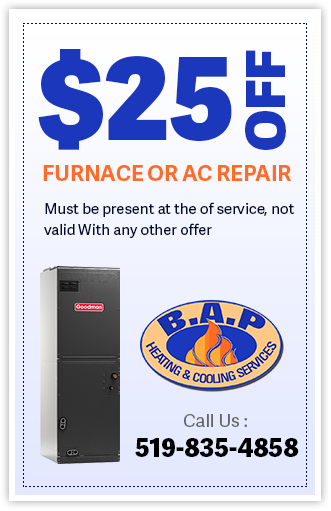 When it comes to your boiler, B.A.P Heating & Cooling is the professional team you want handling any issues that may arise. We have kept homes throughout the region warm during those cold winter months and will continue to do so for years to come. The Boiler Tune Up and Maintenance in Guelph, ON service that we provide is thorough, regimented and organized. We follow a detailed maintenance checklist to ensure that no area of your equipment is left unattended and any minor problems that may become potential repairs are noted. Once we have completed the overall investigation, evaluation, and service of the parts we carry out a visual inspection to ensure that there are no cracks, flaws or problem areas. A thorough cleaning of the system is the final step in our maintenance regime and one that is extremely important for your safety and health and that of your equipment. Our technicians are trained to recognize anything that may be seen as a potential hazard. 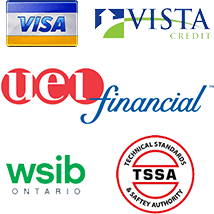 We know how hectic life is and your schedules may become and how easy it is to forget to carry out that regular Boiler Tune Up and Maintenance in Guelph, ON which is why we offer you our services in another way as well. Our maintenance plans are available at a small, affordable monthly fee. 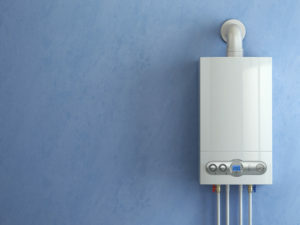 These plans ensure you that your boiler will always be in working order. Even when you have forgotten that all important maintenance service, you can rest assured that we haven’t. 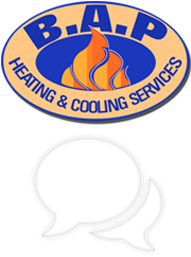 We are here to assist you with your boiler issues today. Our technicians are standing by to take care of your maintenance and tune-up woes. We are fast to respond and even faster to complete the job but we never compromise the work we produce. Our 24/7 emergency helpline is our way off providing you with assistance no matter the time of day or day of the week. We are always available to get you through those rough patches as unscathed as possible. Call us today to experience superior service delivery. Have questions? Submit a request through our online request form or give us a call and our specialist will help guide you through the different Boiler Tune Up and Maintenance options.